Another near chick-lit page pack on the bookshelf. The most interesting being the title, You will never know what it actually means until you read the book. As soon you find it out, it will definitely leave your lips curvy. 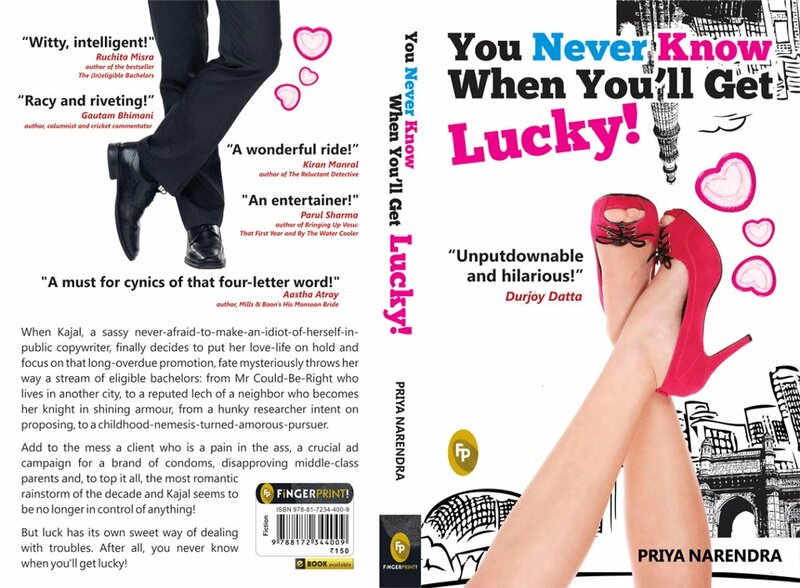 The plot is good, priya narendra remained lucky at the end. The protagonist kajal is an interesting figure with a good story line to add spice to her unlucky (may be lucky) life.. starting from rocky,dhir,debu to shonali and junaki, every body is important. It is not a league out work, but it is in-league good. At some of the chapters i was literally counting the pages but regularly i was effortlessly giving them turns. At handful of instances , you will relate yourself or at least feel the same way as the character. That is the time you really move forward with the book. kajal wont let you down with her grinder. She has done all the adult fun to add humour, interest, and the spicy tinge!! It is a plain web story, perfect for light reading. Cover page itself is saucy and you will be attracted. A girl who is simple as you think and complicated as you make. Public speaking, writing, reading, creativity, adds to her domain though small but a cherry on the top.